Elite Realty of USA Inc.
"It's Not Just Finding a Home It's Fulfilling a Dream!" Looking to sell? Get a free home evaluation today! These guys have been around a long time and know the community really well. When I was looking for another home in Ozone Park, I gave them a call. I wanted to rebuild an old house and they gave me the rundown on the different zonings and what was and wasn’t allowed. Elite Realty of USA Inc helped me out a ton when I was looking to purchase a home. This was my first time ever buying a home after renting for 10 years and I was lost in the process. They were friendly and treated me as if they had known me for years. I recommend going to them for any real estate needs you have! 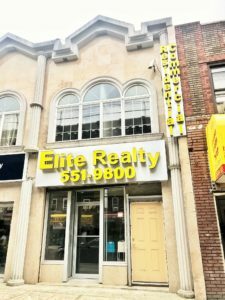 When I first came to the country and needed an apartment for my family and I, I went into Elite Realty of USA Inc to ask about rentals in Queens. They had many different listings for me to choose from and the agent took his time to take my family around to many of them. Since we are picky, we had to go to multiple different apartments but in the end, we ended up with the perfect one for us.